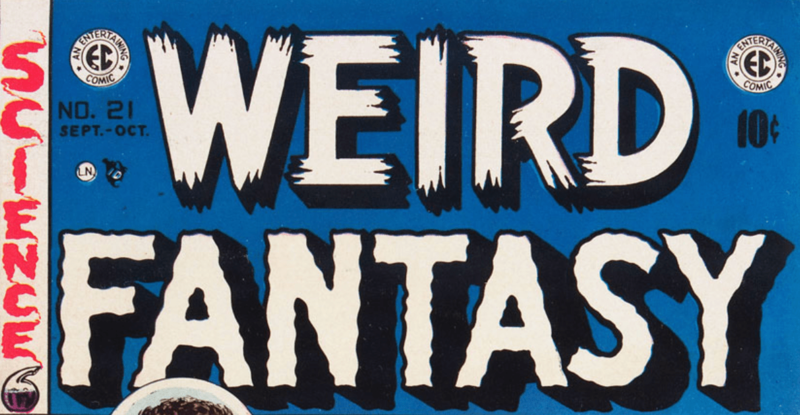 New film and TV projects from EC Comics, kicking off with 'WEIRD FANTASY' – AiPT! A partnership with Hivemind has revived the legendary comic publisher. There’s very exciting news today with the announcement from Hivemind, of a new partnership with William M. Gaines Agent, Inc., the proprietors of EC Comics, for several film and television projects based on the comic book publisher’s legendary library. EC Comics is known for shocking and subversive sci-fi/fantasy brands such as Tales from the Crypt, Weird Science, Two-Fisted Tales, and Mad Magazine — many of which regularly dipped into socially conscious themes such as racial and gender inequality, anti-war advocacy, nuclear disarmament, and environmental preservation. Hivemind is producing the upcoming highly anticipated adaption of The Witcher on Netflix, starring Henry Cavill, as well as Guillermo del Toro’s Scary Stories to Tell in the Dark film. They also recently signed a first-look deal with Amazon Studios for event television, and have produced the critically acclaimed sci-fi series The Expanse for the internet shopping powerhouse. The partnership’s first projects will be WEIRD FANTASY, a television show inspired by EC’s books of the same name, presented as an anthology series, and a biopic of EC publisher William M. Gaines. Gaines was a rabble-rouser of sorts, seen as both a troublemaker and counterculture leader. During the 1950s his work in EC lead to a moral crisis — which saw his books being burned in the streets and the company being investigated by Congress. The film will follow Gaines on his rise to controversial fame with EC and his founding of MAD Magazine. Gaine’s daughter and grandson, Cathy Mifsud and Corey Mifsud, will be producing both projects on behalf of EC, with Dinesh Shamdasani, Sean Daniel, Jason F. Brown, and Hunter Gorinson producing on behalf of Hivemind. This will be Gorinson’s first project since joining Hivemind, where he servers as VP Brand & Content Strategy. Gorinson was previously at Valiant Entertainment, leading marketing and communications in an executive role, and helped put together the company’s relaunch, which culminates in the release of Bloodshot, in February 2020.